Michelle Berezny is a Registered Psychotherapist and Canadian Certified Counsellor providing Psychotherapy and Counselling Services to children, youth, and families within Ottawa and surrounding area. Michelle comes to this work with a wealth of experience working with families in trying situations; it is this experience that has informed her strong belief that all individuals and families possess the very strengths and inner resources needed to propel them forward through life’s struggles and challenges. Specifically, Michelle specializes in supporting families facing issues related to: anxiety and excessive worry, depression and low mood, self-harm, suicidal ideation, anger, oppositional behaviour, parent-child conflict, separation and divorce, differing parenting styles, blended family challenges, grief and loss, social skill building, bullying, and self-esteem. As we move through life’s inevitable transitions, occasionally we encounter roadblocks that can either stop us in our tracks or provide us with vital life lessons. Michelle has an energized passion for helping children, youth and families move through those valuable transitions. Michelle works collaboratively with her clients while tailoring one’s goals based on the unique needs and developmental stage of the child, youth, and family. 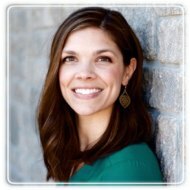 Providing a warm, client-centered space for families within her practice, Michelle uses a variety of evidence-based practices, such as: Brief-Solution Focused Therapy, Play Therapy, Cognitive-Behaviour Therapy, Mindfulness, Attachment Theory, Emotion-Focused Therapy, and Family Systems Theory. Michelle is privileged to walk with clients on their very important journey of growth while inviting them to access and call upon their inner strengths and resiliencies. Since children and youth are still developing the vocabulary which allows them to express their thoughts and feelings, Counselling with children and youth must take on a different form. Very often, feelings of hurt, fear, and sadness can present as physical complaints such as tummy aches or headaches. Michelle gently and thoughtfully helps children and youth explore these feelings while inviting play, creativity, and artistic expression into the Counselling work. Sometimes families encounter seasons in their lives that present challenges and difficulties for all or some members. Because children are part of a greater system, often times Family Counselling is the best mode of practice to help the child or youth find the strength and support he or she needs to overcome potential difficulties. Michelle provides a space for the family system to come together and learn to identify and utilize their individual and collective strengths in order to move through these road blocks together, while relieving feelings of frustration and disconnect. This may involve working with the entire family, or certain members of the family as necessary. • Becoming connected to other helpful resources in your community.